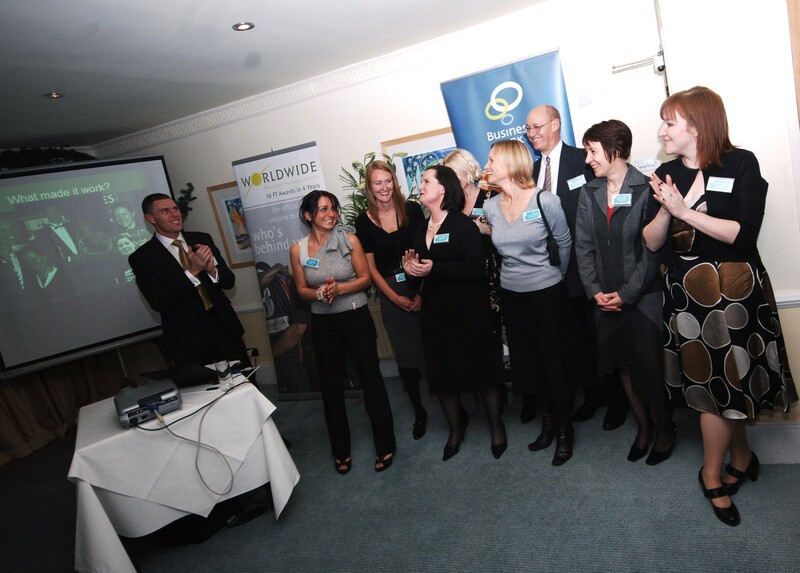 Last week Cornwall Pure Business celebrated the relocation of 126 dynamic new businesses to Cornwall through a project that generated an additional £32 million for the Cornish economy and almost 800 jobs since 2004. Co-sponsored by Coodes Solicitors and Worldwide Financial Planning, over 60 relocated businesses and business support organisations enjoyed the informal evening of networking at St Michael’s Hotel & Spa in Falmouth on Wednesday 3 December 2008. The event’s guest speaker was Andrew Holland – chairman of the project’s Steering Group, director and general manager of PALL, Newquay, and winner of this year’s Cornwall Business Award for Business Leader of the Year. Holland highlighted the wide range of support Cornwall Pure Business and its partner organisations have provided to businesses looking to relocate to Cornwall, as well as assisting those that have already made the move. Carleen Kelemen, director of the Objective One Partnership Office, added: “One of the ways to regenerate and strengthen our economy is to attract new quality business. Cornwall Pure Business was one of a raft of successful projects which made Cornwall the place to establish and grow successful businesses. “Other projects include Combined Universities in Cornwall and its business outreach initiatives such as Unlocking Cornish Potential – which placed graduates with businesses. Actnow also made a significant difference taking Cornwall and the Isles of Scilly from zero to 99% broadband coverage. Cornwall Pure Business was a £1.9 million, four year project which was managed by Cornwall Enterprise, the economic development service of Cornwall County Council, and received joint investment from Cornwall County Council and the Objective One European Regional Development Fund. The project officially closes on December 31, although Cornwall Pure Business will continue to offer support to businesses considering relocation after that date. The project actively encouraged and assisted a total of 126 businesses to make the move to Cornwall, far exceeding the original target of 108 company relocations.